Pigment Inks. 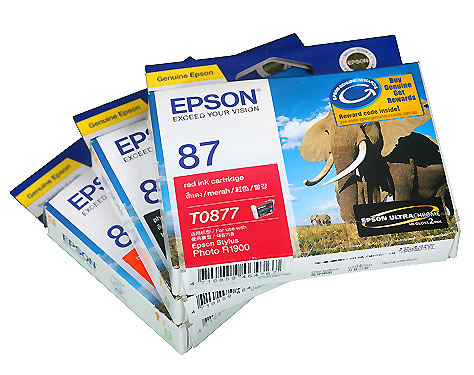 GMS specialises in the supply of Canon and Epson wide format pigment inks. We fade test many of our media and coating types with these inks and publish the results on this website and in formal documentation that is available to qualified customers. Reactive Dye Fabric inks for washable natural fabrics. These new ink technologies will ultimately be mandated by various western governments as replacements for both ECO solvents and the current range of power hungry UV cure machines.